The unit provides space for an additional 15 residents to receive round the clock care and support. Home Manager, Michelle Montgomery, said: “We are delighted to open a new general residential unit at Dunmurry Manor for older people in our community to enjoy. We’ve strived to move past the previous challenges the home has faced, and have implemented and maintained such positive changes which have been widely recognised. 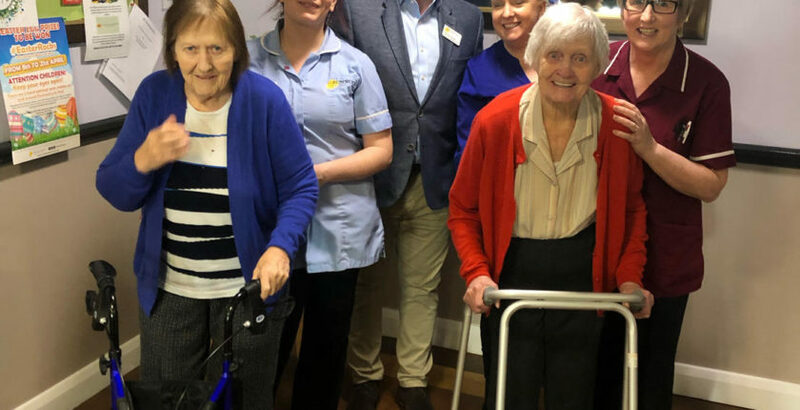 The official opening event was attended by current Dunmurry Manor care home residents, their families and friends, health and social care professionals, and visitors from the local area as well as broadcaster, Q Radio. Chief Operating Officer, Gavin O’Hare-Connolly, added: “The team at Dunmurry Manor have worked incredibly hard to continually exceed standards and drive a positive change to the lives of those who share our home.